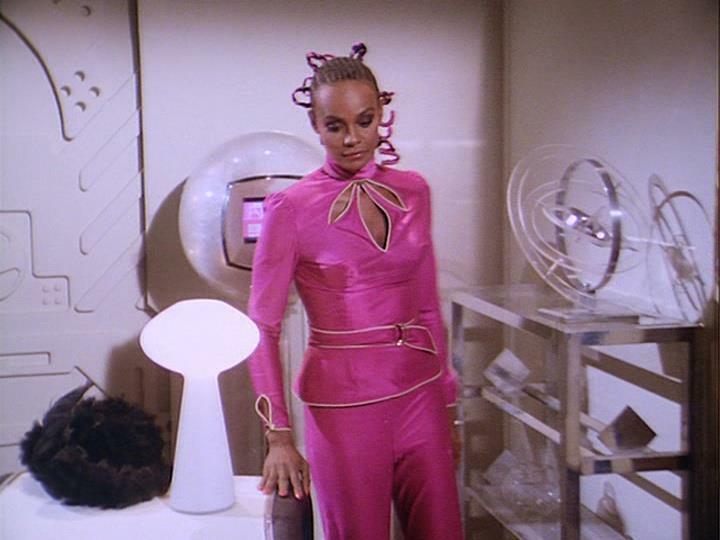 Dr. Delora Bayliss’ (Tamara Dobson) costume from the sci-fi television series Buck Rogers in the 25th Century. 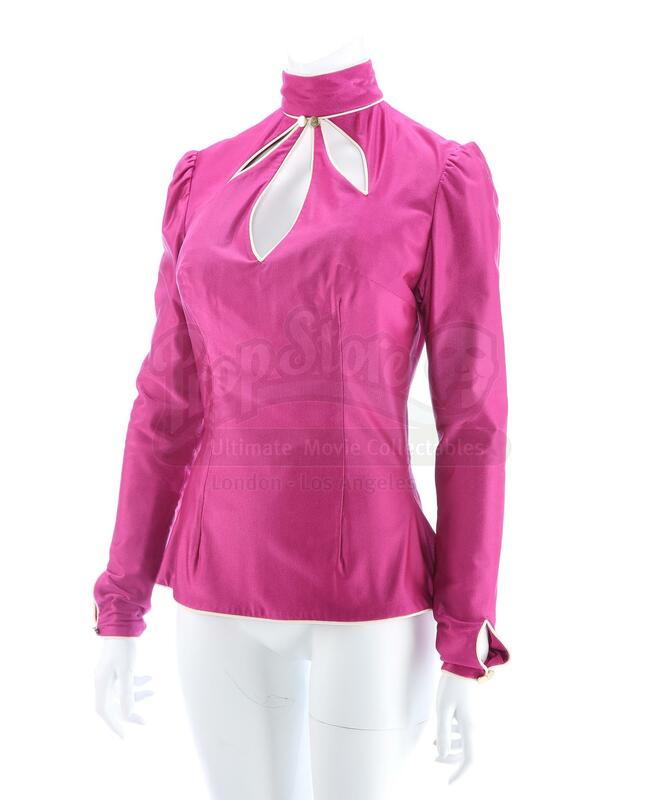 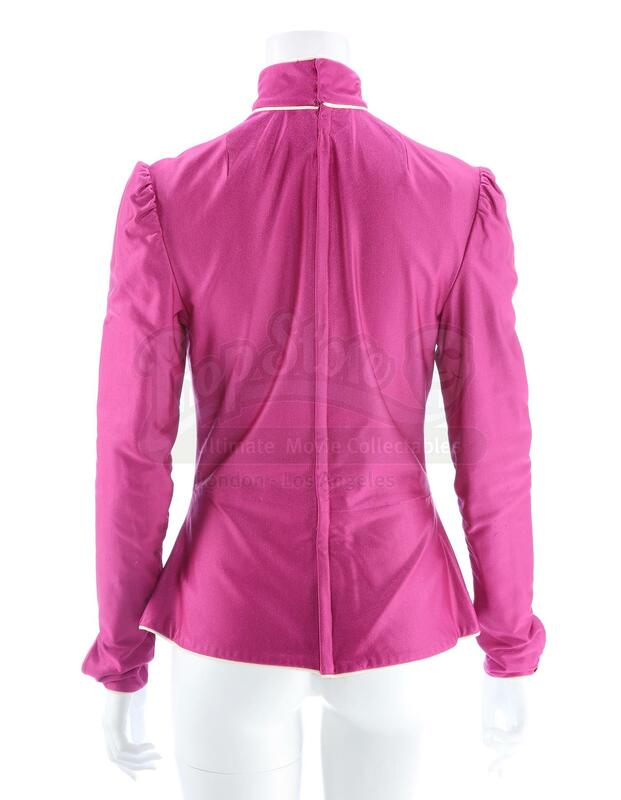 The magenta satin spandex custom-made blouse features a stand collar, three chest cutouts, ivory piping, slight puff sleeves and a golden color button detail on cuffs and collar. 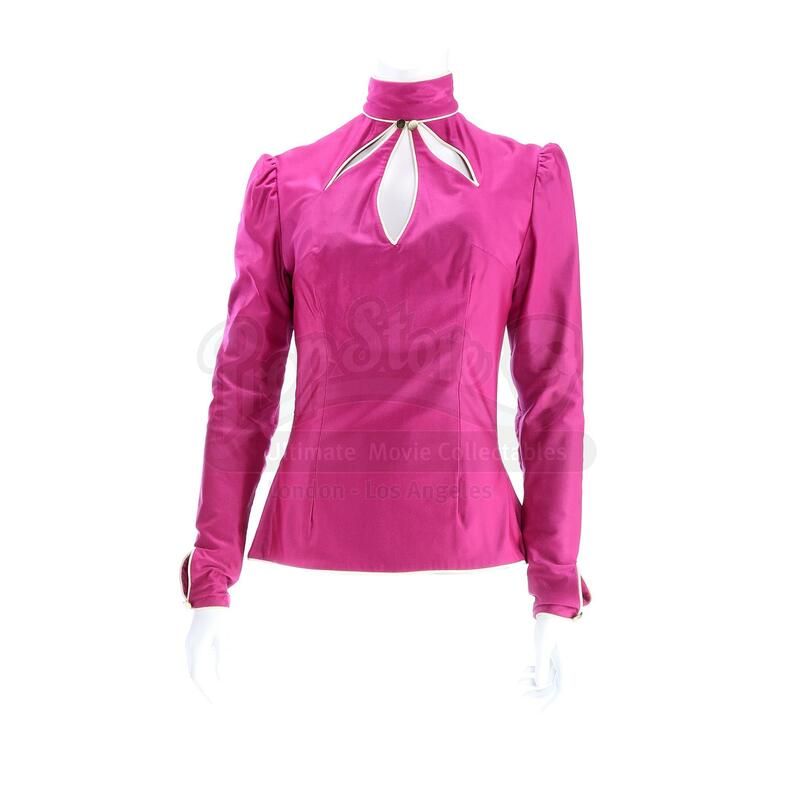 It is in very fine, production-used, vintage condition overall. 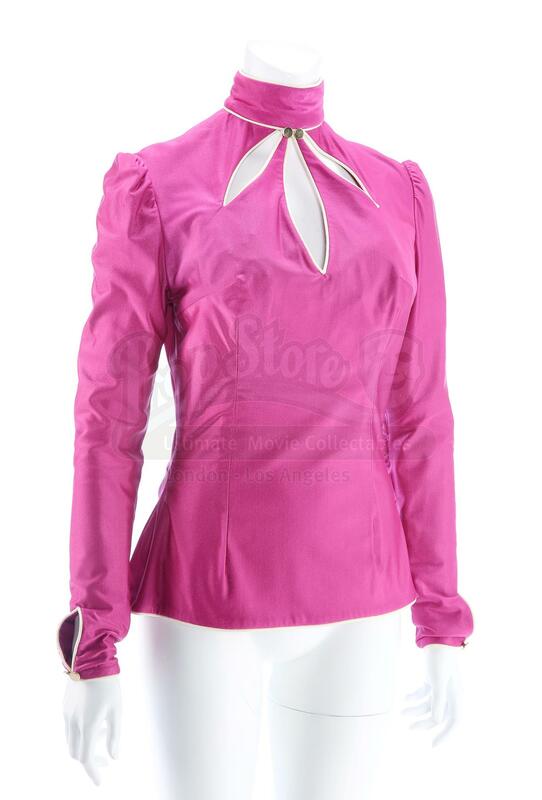 In the episode ‘Happy Birthday, Buck’ (115), Dr. Bayliss wears her blouse as Buck Rogers (Gil Gerard) tries to recapture a murderer who seeks revenge against the doctor.